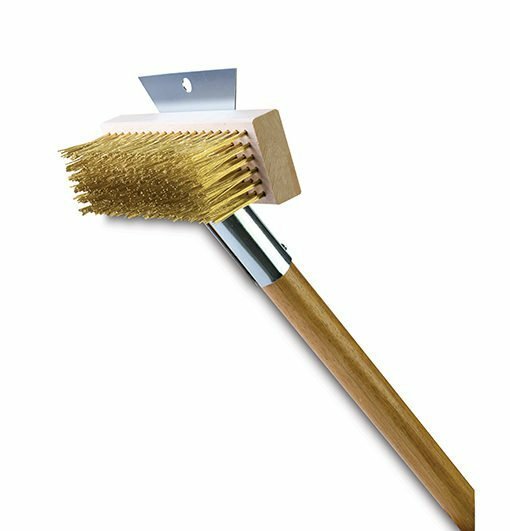 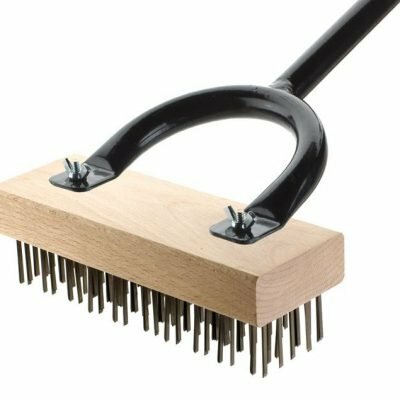 This 7-1/4″ brass bristle grill brush is safe for use on pizza ovens, porcelain grates and stone ovens. 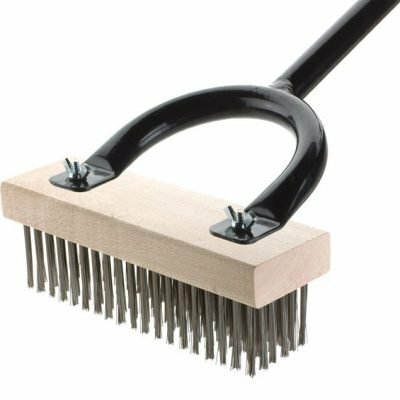 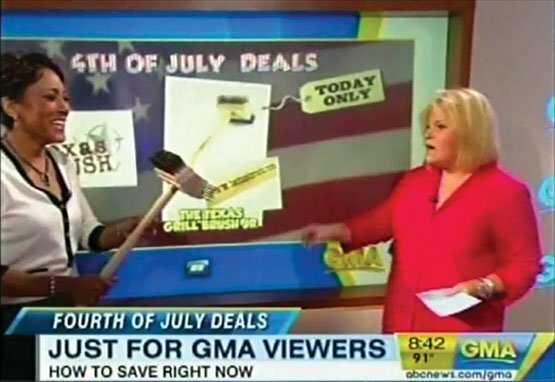 The long 27″ handle allows for added reach to make cleaning the entire grill quick, easy and safe. 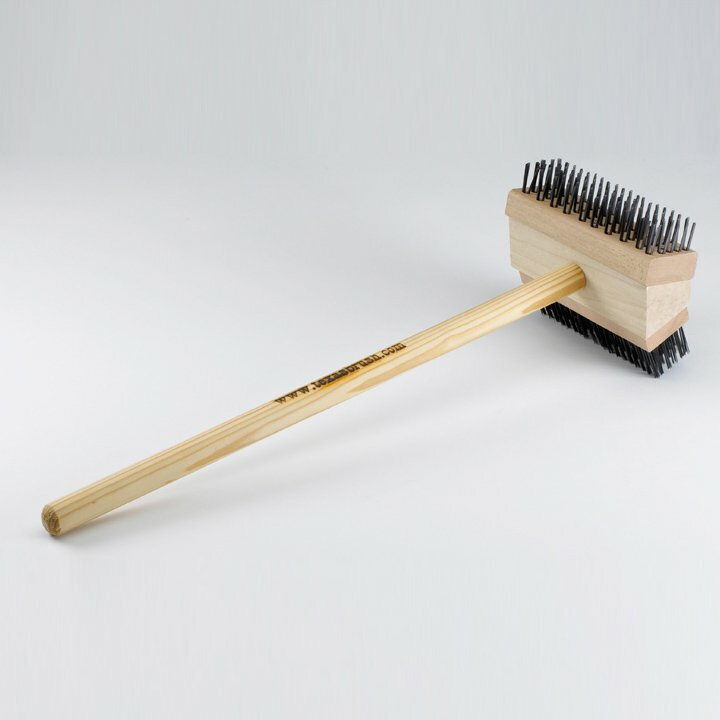 A heavy-duty scraper blade is attached horizontally to the front end of the cleaning head (scraper not recommended for use on porcelain grates).